Is there even such a thing as “Irish plaid”? Irish tartan patterns? For the sake of this post, let’s say yes. 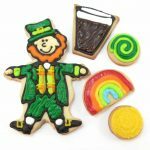 If I had my act together, I’d have gotten a Shamrock cookie cutter. Or looked through my hundreds of cookie cutters to find the Shamrock I probably already own. But alas, this pattern can be made on any shape cookie. 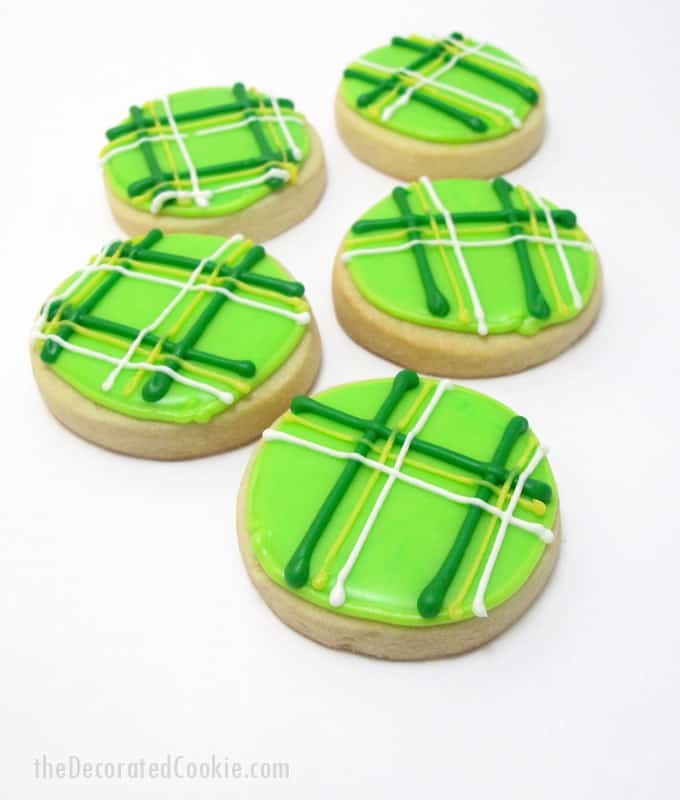 So here are some plaid cookies for St. Patrick’s Day. *I used a 2-inch circle cutter. For food coloring, I used Americolor gel pastes, Electric Green, Leaf Green, Egg Yellow and Bright White. Find decorating bags, couplers, tips and cutters at the craft store. For tips on finding cookie decorating supplies, click HERE. Roll out chilled dough, cut out and bake cookies according to the recipe. Let cool completely. 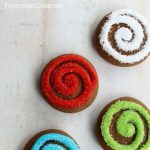 Make icing according to the recipe, divide and tint your colors. You’ll need: lime green (the most of this, as it’s your background color), bright green, yellow and white. Assemble decorating bags with couplers and tips and fill with the icing. 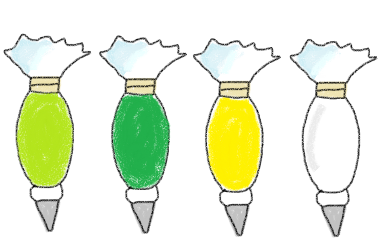 Use a 3 tip for the bright green, 2 tips for yellow and white, and a 4 tip for the lime green. Reserve half of the lime green icing in a bowl, covered. Close bags tightly with rubber bands. Pipe an outline with the lime green. Let set about 15 minutes. 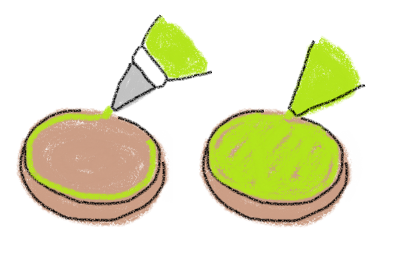 Thin reserved lime green icing with water until the consistency of thick glue. Fill an empty decorating bag with the thinned icing, snip 1/4 inch from the tip, and loosely pipe to fill the cookies, letting the the icing flood the entire cookie. Encourage with a toothpick if needed. Let set well, several hours at least or overnight. Pipe lines with the bright green 3 tip (a grid pattern). Then pipe thinner lines next to the green lines with the yellow and white 2 tips. Let dry. Yes, there are Irish tartans 🙂 so you're not off there! The cookies are adorable!! I love them just the way they are! The colors, the plaid, the cookie stack~love it all! Cute- I love the plaid and the bright colors. 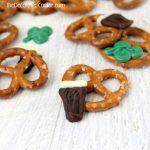 They don't need to be shamrock shaped at all! I like it better that they aren't actually. What a fun design! And they look SOO tasty! I like it! 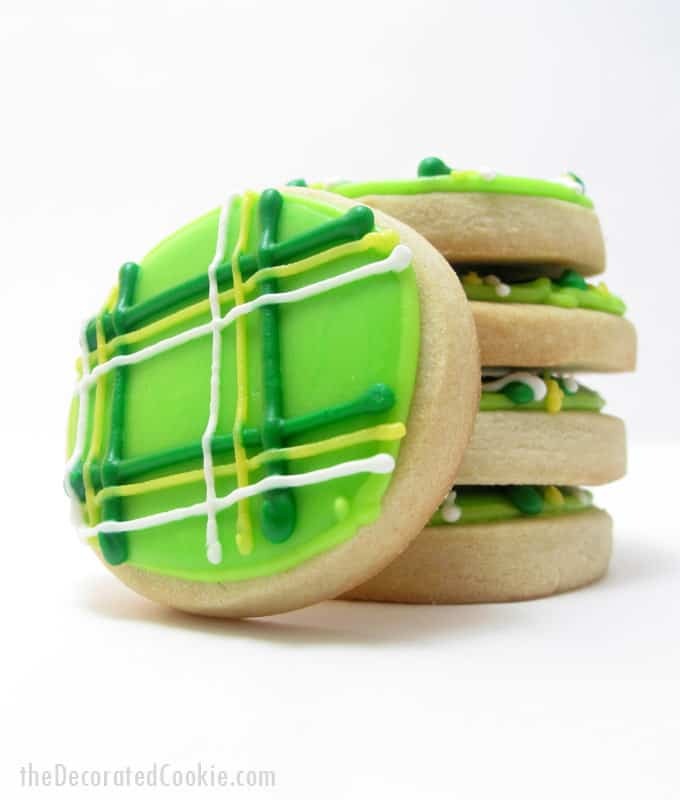 It's like a preppy St. Patties Day cookie. Love these. The plaid is so sweet, cheerful and springlike! So cute! Thanks for the inspiration for the upcoming "holiday". 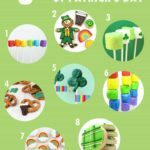 I love plaid, what an awesome idea for St. Patricks…so different than the usual shamrocks. Love it!! Aw wow these are perfect for st patricks day! Look delicious! these were so cute that i had to make them! i used a scalloped edge square cookie cutter. 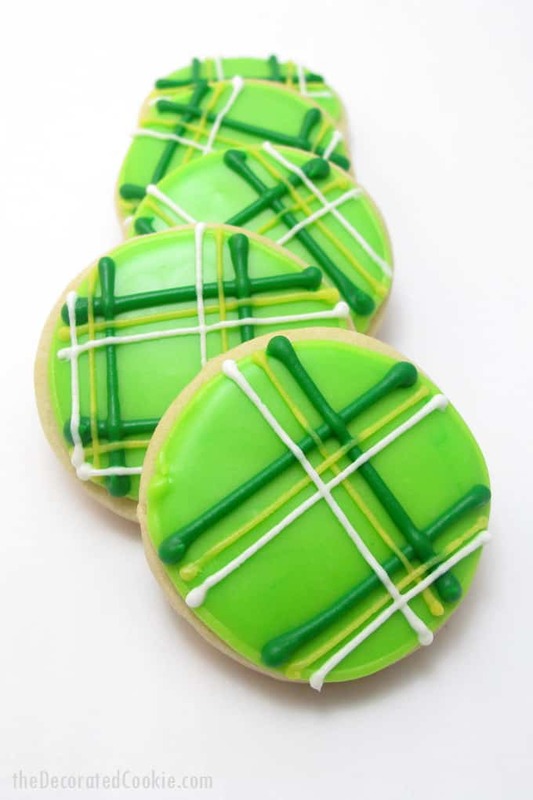 i misplaced my shamrock cookie cutter and of course found it after decorating the plaid squares. as it turns out, i like your idea much better anyway – versatile throughout springtime.